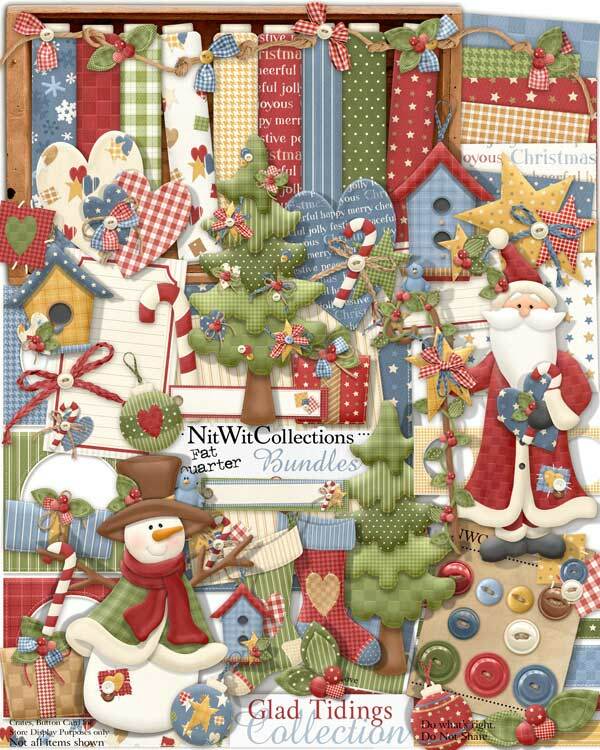 "Glad Tidings" Collection is a whimiscal Christmas Collection made in the primitive style. All of Christmas's best are included in this Collection together with Santa, the Christmas tree, stockings, ornaments, presents, and of course the stitched hearts and holly! Merry Christmas to all!!! 2 Birdhouses - they even decorated their homes for Christmas! 2 Journal Squares - what will you diarize about this Christmas? 3 Presents - you won't be able to open these, even on Christmas day! 2 Stockings - no coal included! 2 Christmas Trees - one decorated and one still "freshly chopped"